A few months ago I read about the GR Tag Tour, which is essentially QR codes placed around downtown Grand Rapids where you can go, scan them with your smart phone, and read about the place online. 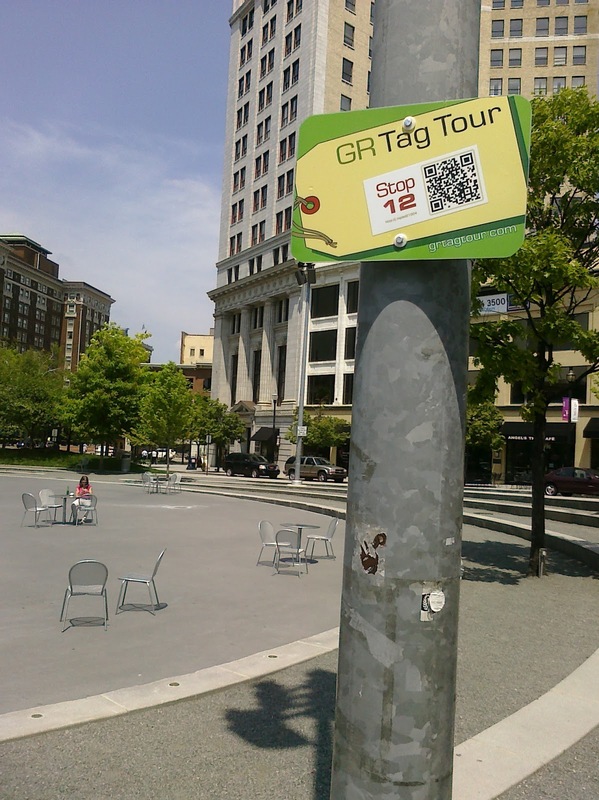 It's essentially a self-guided tour of the downtown area. At the time I thought it would be an interesting way to spend a lunch break sometime in the summer. So today I finally noticed one of the tags up at Rosa Park Circle. I'm not sure how long it's been there but perhaps one day soon I'll play around with them. While I'm pretty familiar with all the stops, it's a good excuse to walk around and get some exercise on a nice day.